Established in 1946, this series produces high quality, reflective and innovative scholarship in the field of public international law. It published works on international law that are of a theoretical, historical, cross-disciplinary or doctrinal nature. 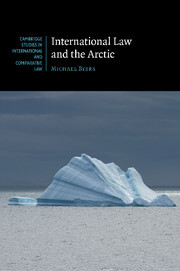 The series also welcomes books providing insights from private international law, comparative law and transnational studies which inform international legal thought and practice more generally. The series seeks to publish views from diverse legal traditions and perspectives, and of any geographical origin. In this respect it invites studies offering regional perspectives on core problématiques of international law, and in the same vein, it appreciates contrasts and debates between diverging approaches. Accordingly, books offering new or less orthodox perspectives are very much welcome. Works of a generalist character are greatly valued and the series is also open to studies on specific areas, institutions or problems. Translations of the most outstanding works published in other languages are also considered. After seventy years, Cambridge Studies in International and Comparative Law sets the standard for international legal scholarship and will continue to define the discipline as it evolves in the years to come.